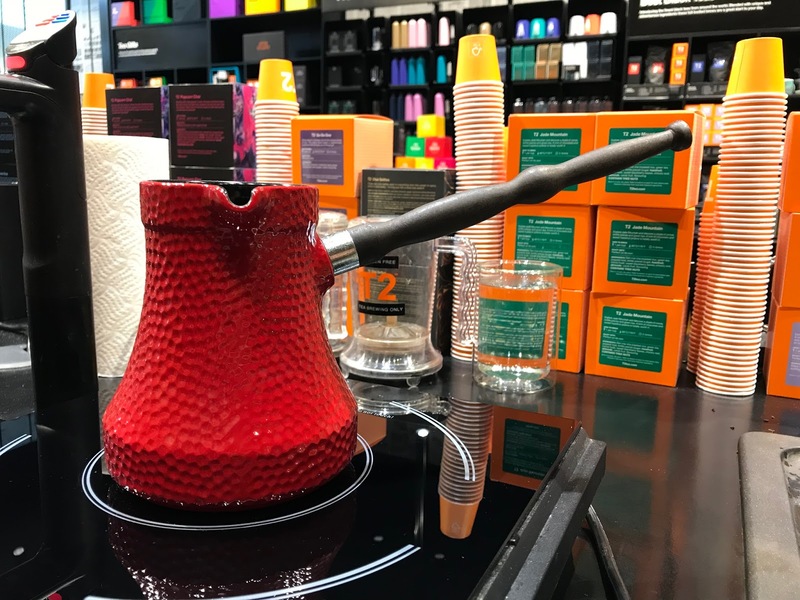 Last week we had the honour of being invited to a chai tea masterclass at the T2 Tea store in Sheffield. 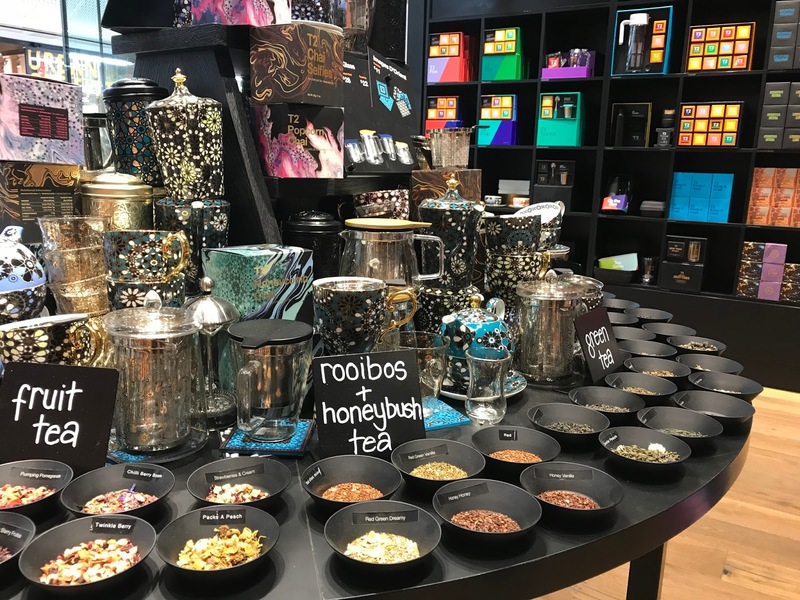 Having popped in to a couple of the stores a while back in London, we couldn’t wait to return to tea heaven and learn how to make one of our Autumn favourites – chai. Navigating through Meadowhall when trying to find a specific store can be a maze to say the least, but we knew when we were getting warm from the sensational smell of freshly brewed tea sucking us towards the store. The brightly coloured boxes and equipment means you simply can’t miss it, and once in we were given the warmest of welcomes. Before we started the masterclass, there were a few samples on display that we just had to try: these were popcorn chai, honeycomb chai and sticky honey chai. We quickly learnt in the masterclass that honey pretty much transforms any of the teas into something that little bit more cosy, warm and dreamy, even if a little bit unhealthier. Therefore, sticky honey was our initial favourite, but having learnt how to brew the Go Go Goa and traditional option, we ended up torn – but that was no bad thing! Another key thing to mention is that T2 operate dairy free stores to accommodate for all and in the belief that unsweetened soya milk does just the same trick as ordinary milk. We’re both not usually fans of different milk variants, but we admit today that we wouldn’t have thought anything of it when used in these delicious teas. 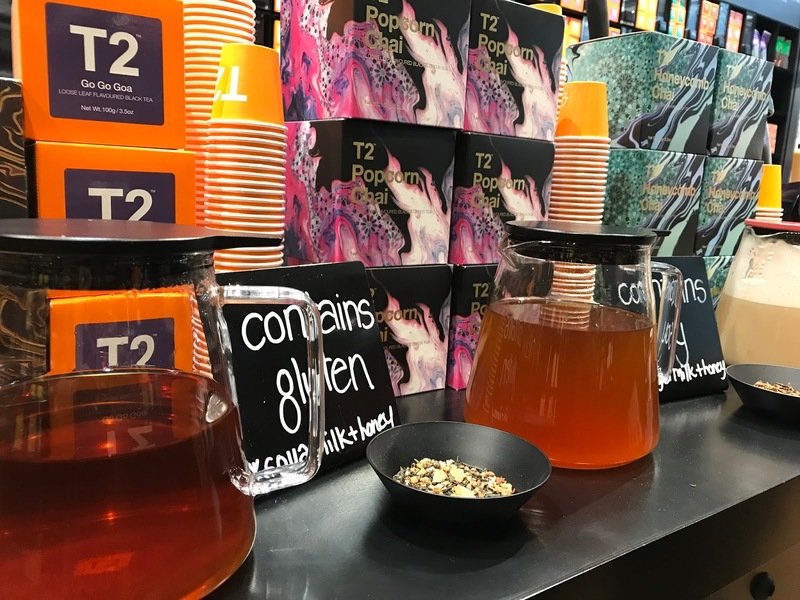 T2 is an Australian company, slowly spreading throughout the UK and we’re delighted that Sheffield has been chosen as one of their store locations, but of course Chai doesn’t originate from here or down under, but instead from India. It’s a mix of black tea and spices, and the many ingredients you can mix it with leaves you with endless versions of this classic brew. 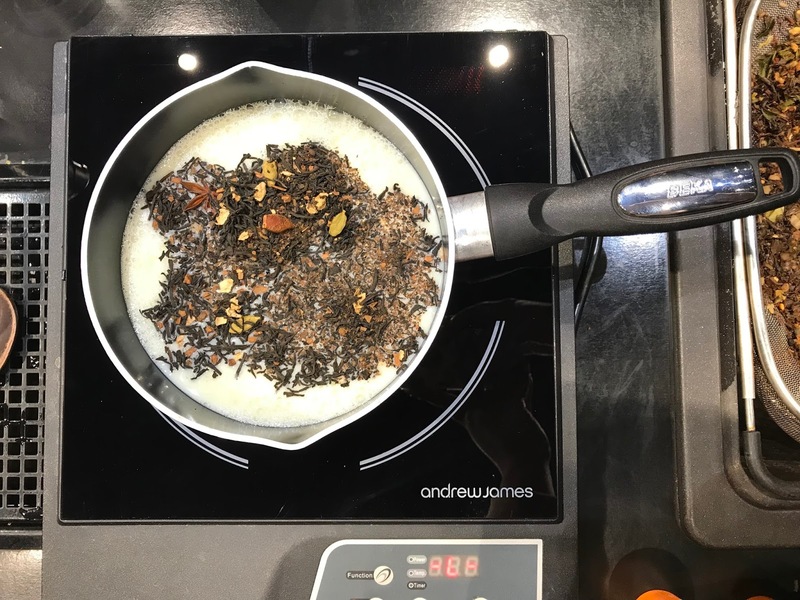 We learnt how to make chai tea brew in two ways: using one of T2’s own products – their tea brewer, and for those with more common equipment at home, also with the old school pan on the hob. Their products are incredible and evidently made with quality at the forefront. Although they come at a cost, we’re sure any tea lover would greatly appreciate anything from a classic teapot to one of these Ibrik Hammered Chai Pot. These are rare to find outside of India, but we were lucky enough to make our Chai in an even more authentic manner! First up was the Go Go Goa tea, a vanilla infused sweet tea that was made with another of T2’s products – their tea brewer. Recently featured on the Gadget Show for it’s innovation, it brews the tea leaves in with the water normally, before being placed over a cup after 4 minutes leaving the leaves in the brewer and your fresh tea ready to be mixed with milk and honey to your liking. Finally we learnt how to make their original chai in a similar way, but this time over the hob. Once brewed, you simply use a strainer to remove the leaves from the mix of water and milk for honey to be added to it. We actually tried it with and without honey, and as we said, we believe it makes it. But you are completely free to make it how you like in terms of the ratio of water to honey, what type of milk you use, how long it is brewed for and how much honey to add. We were left very happy and certainly Chai’d out! We were also gifted with a few goodies, a box of our own classic loose leaf chai tea and an infuser. 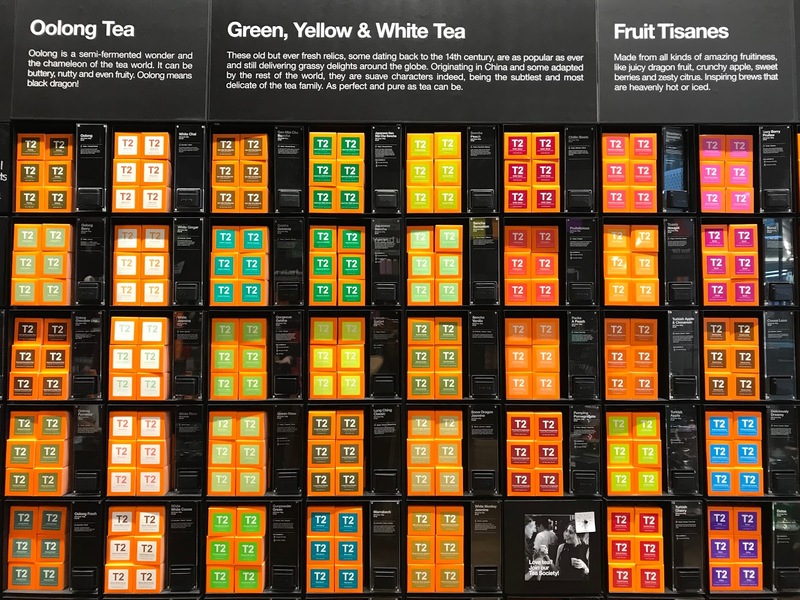 Thank you so much to all at the T2 store and we are so excited to make our own chai tea’s at home. If you are around Sheffield this week, make sure to pop in to their store to check when their next free masterclass is on and get involved. We promise you have no idea how much there is to learn about tea. Thanks for sharing I haven't been to Meadowhall for a few years but I'm a huge Tea ☕️ drinker so will definitely be visiting soon! I love chai tea, I got into it a couple of years ago and now it might be my fave tea. This was so interesting, thanks.